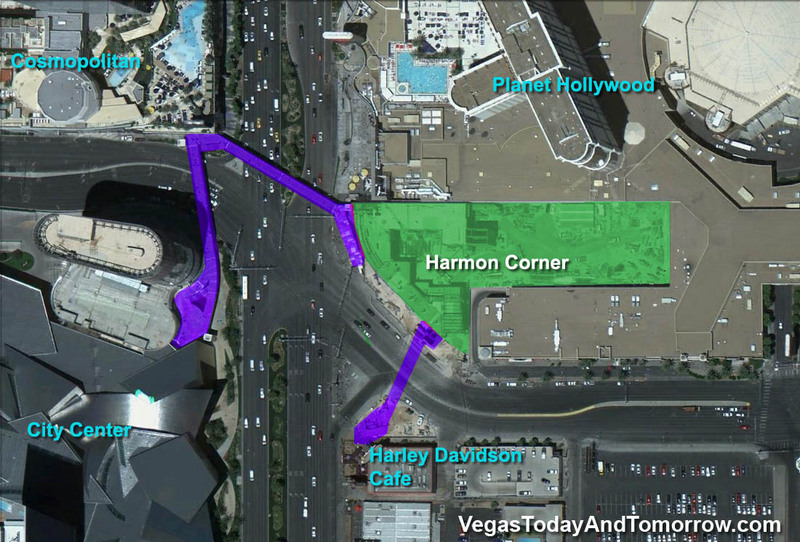 The three-storey Harmon Corner sits on the (often discussed and never before developed) corner of Las Vegas Boulevard and Harmon Avenue. It's 135 feet tall and covers a 2.17 acres. 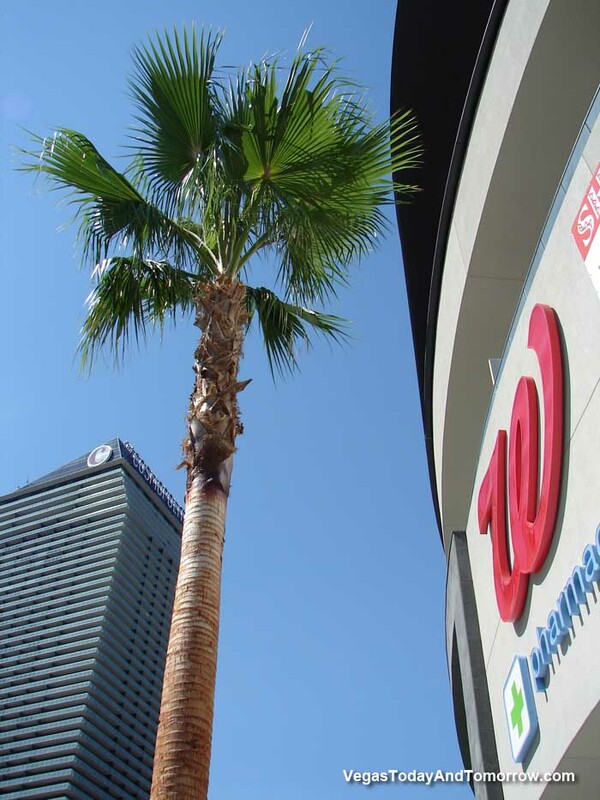 The 110,184-square-foot building's anchor is a 20,022-square-foot , two story Walgreen's. the remaining space is divided into 17 stores and boutiques, and three restaurants. Two pedestrian bridges were constructed, linking Harmon Corner with Cosmopolitan and the Harley Davidson Cafe. The (purported) world's largest hi-res LED video billboard sits atop the building. One of the new restaurants in Harmon Corner is a 2-story Metro-McDonald's. 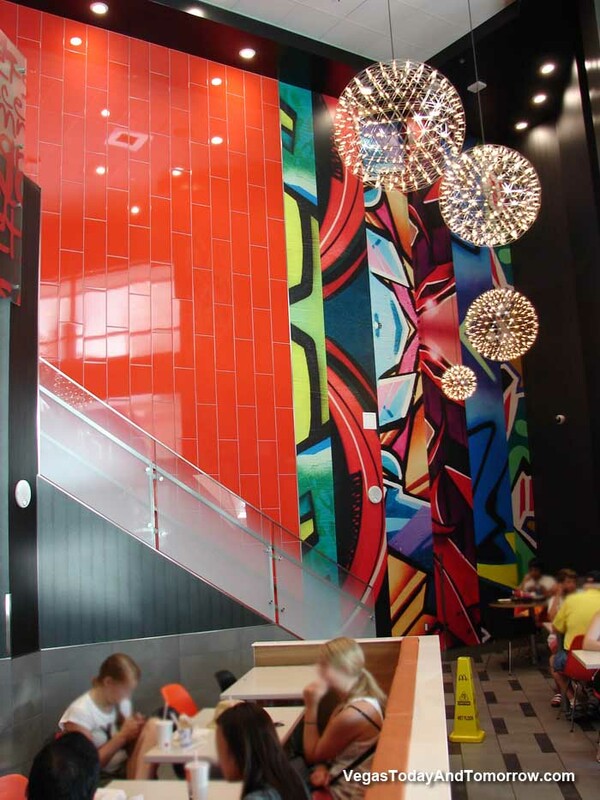 Retro modern design and Wi-Fi set it apart from the "normal" McD's. Still tastes the same though. The photo (right) shows the dining area. The first photos shows off the very hi-res video display and outdoor area. Note: It was about 3:30 in the afternoon and the display was in full sun, yet the blacks are so dark, it's almost unreal. The others show interior shots of the mall area and the two-level Walgreen's that has a full sized store on the bottom level and a convenient store on the ped-mall level. With the completion of Harmon corner, all the crosswalks in this intersection have been replaced by pedestrian bridges. Now, between Excalibur and Wynn, there are 16 pedestrian bridges and only five crosswalks left (crossing Las Vegas Blvd.). This is a big boost in traffic flow and safety as the Harmon intersection was a dangerous one.